The Irish oil candle includes a glass wick holder, a fiberglass perma-wick and a funnel. 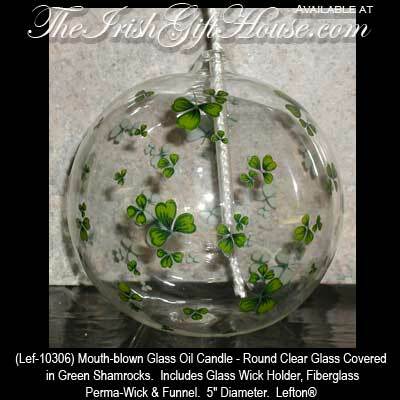 This mouth-blown glass oil candle features clear glass that is covered in green shamrocks. The Irish oil candle measures 5" in diameter and 4 1/2" tall.